As we all know, the iOS 7 Jailbreak is now available to download for public. The hackers team behind iOS 7 jailbreak development has surprisingly launched the iOS 7 / iOS 7.0.4 Jailbreak this morning in public. 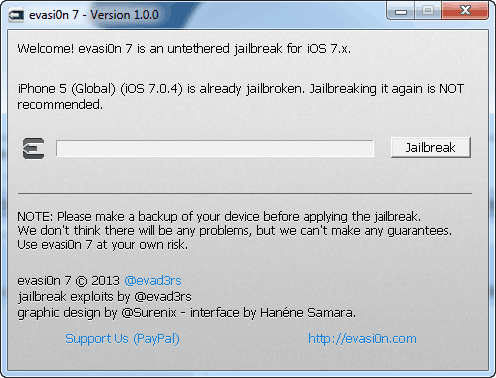 Evad3rs team was working on the iOS 7 security to develop active jailbreak tools that allow users to run the latest tweaks on their device without any issue. The iOS 7.0.4 Jailbreak is available to download at the time of writing, and we are happy to provide you a simple tutorial on how to jailbreak iOS 7 on Windows. Back up your device with latest iTunes to prevent data loss. Step 1: As mentioned above, backup your device with latest iTunes. 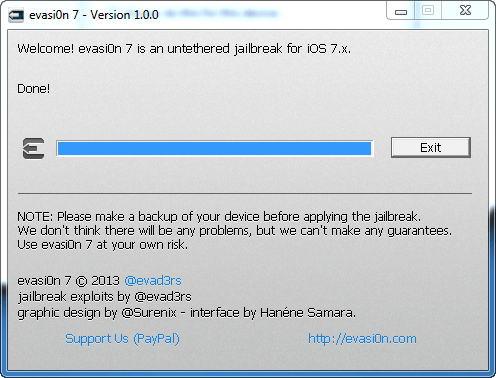 Step 2: Make sure to download evasi0n7 for Windows – from here. Step 3: Also make sure that you are running full iOS 7.0.4 on your device, and you have not updated your device to latest iOS 7.0.x via an OTA update. Step 4: If you are not confirm about OTA updates, simply restore your iPhone / iPad with iOS 7.0.4 ipsw that you downloaded from here. Step 5: Once you restored with iOS 7.0.4 your device, now connect it with iTunes using a cable. Step 6: Launch evasi0n7 on Windows, and make sure that it shows your connected device. Step 7: Press the Jailbreak button! Step 8: It will load several files, and evasi0n app on your device. The iOS 7 jailbreak on Windows will take few minutes, and maybe it makes your device freeze for few moments. Step 9: Evasi0n7 will ask you to unlock your device, and press on Evasi0n7 app button from your iOS device. Step 10: Now, it will reboot your device few times. Make sure to leave it till evasi0n again asks you to unlock it. Step 11: That’s it. There is no step 11! Note: If you face any kind of issue with your device, or your iPhone / iPad become unstable. 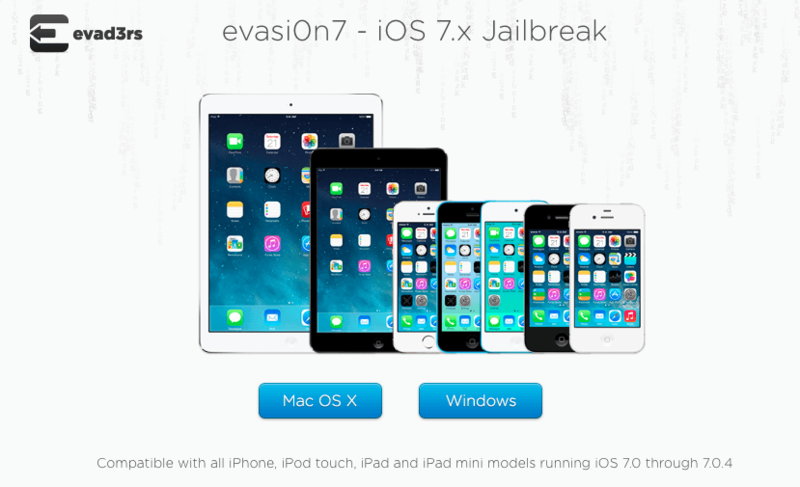 Just restore them with iOS 7.0.4 ipsw and again follow the steps to jailbreak iOS 7 on Windows.